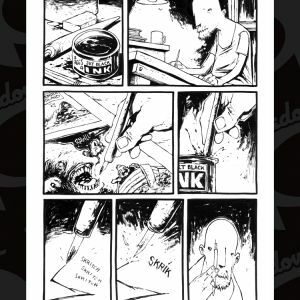 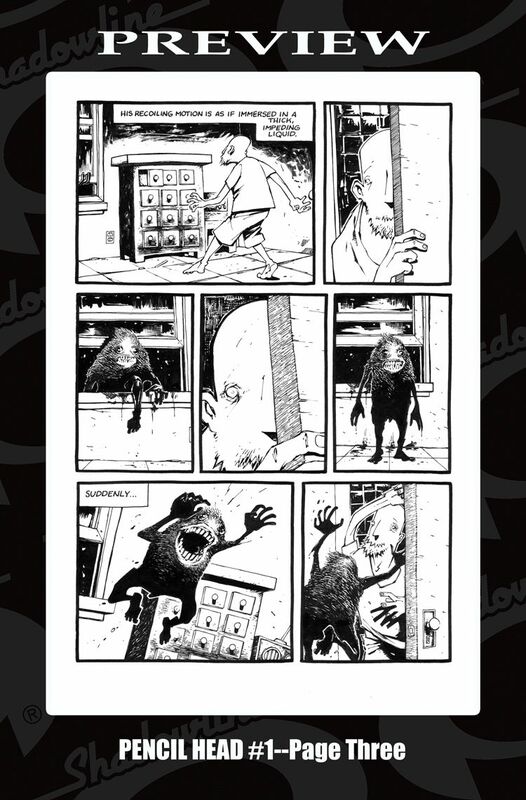 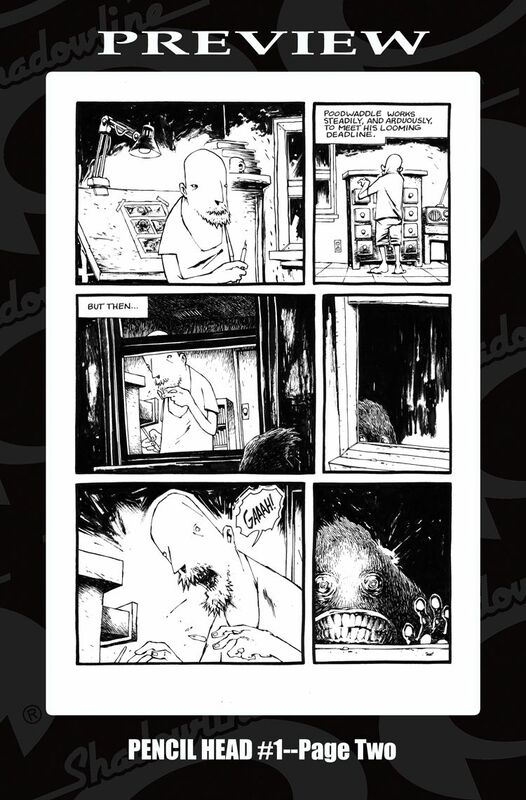 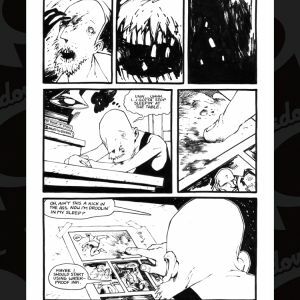 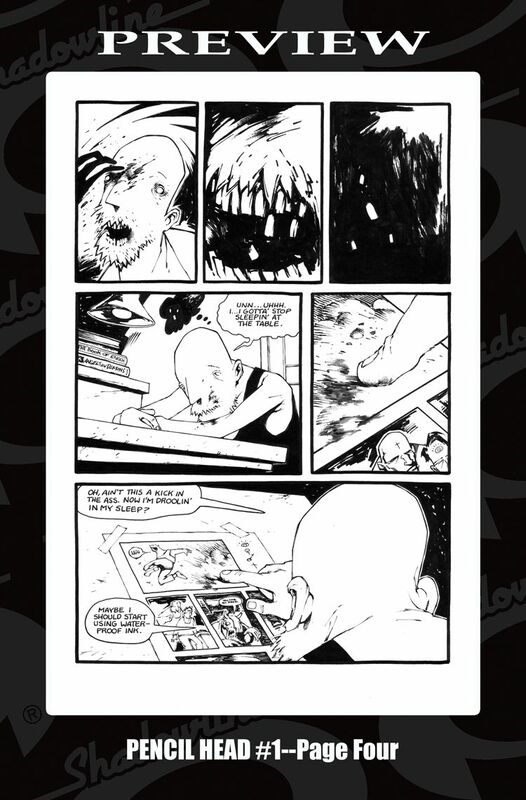 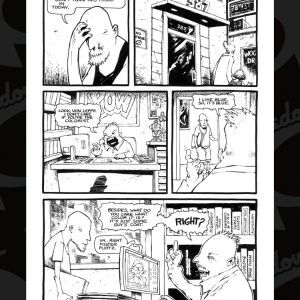 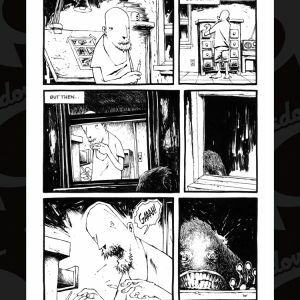 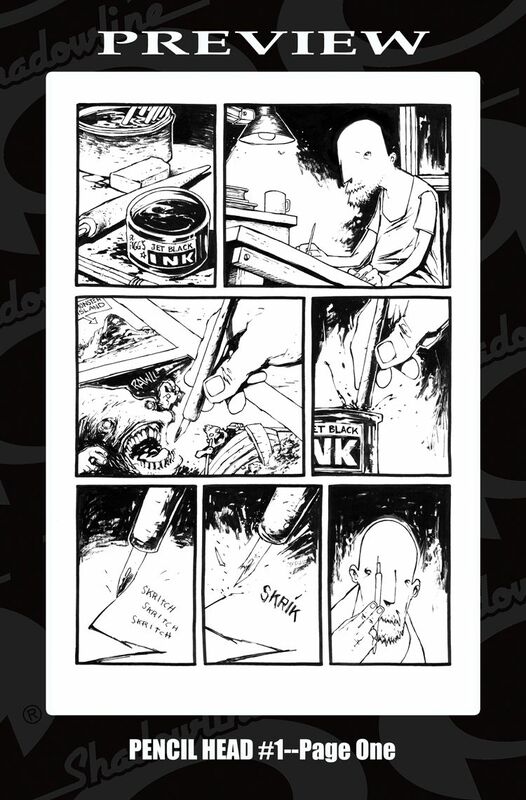 Cartoonist Ted McKeever returns with an all-new love letter to the comic book industry in PENCIL HEAD, set to launch from Image Comics/Shadowline this January. 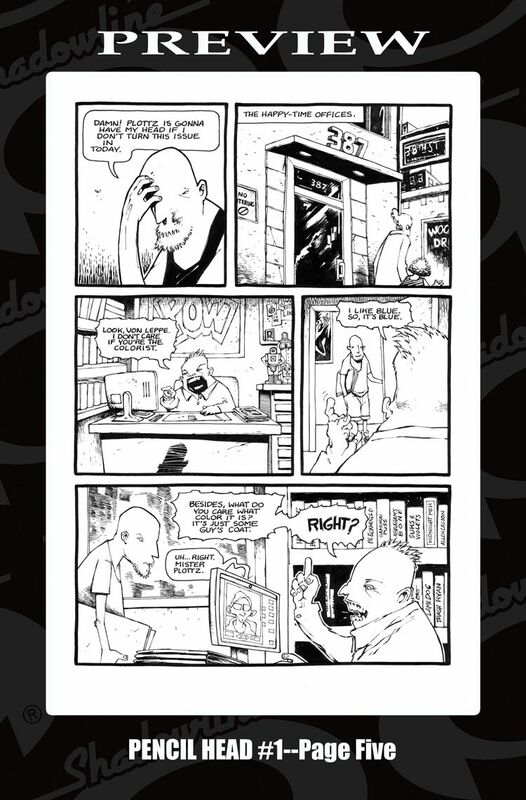 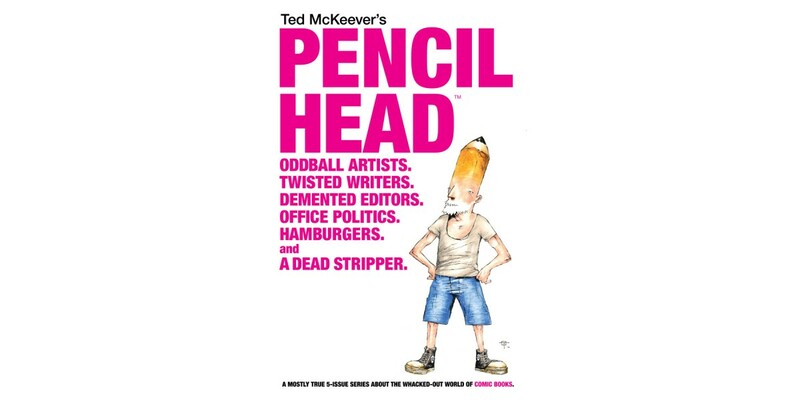 In PENCIL HEAD McKeever explores the whacked-out world of the comic book industry. 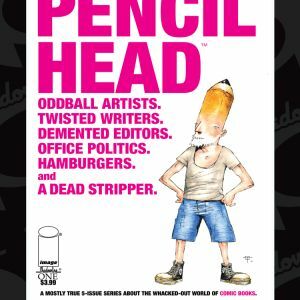 Readers journey along as witness to protagonist Poodwaddle's trials and tribulations of working—and sustaining—his place in the absurd world of comics, where what happens behind the scenes is far more twisted, and bizarrely hilarious, than anything on the printed page. 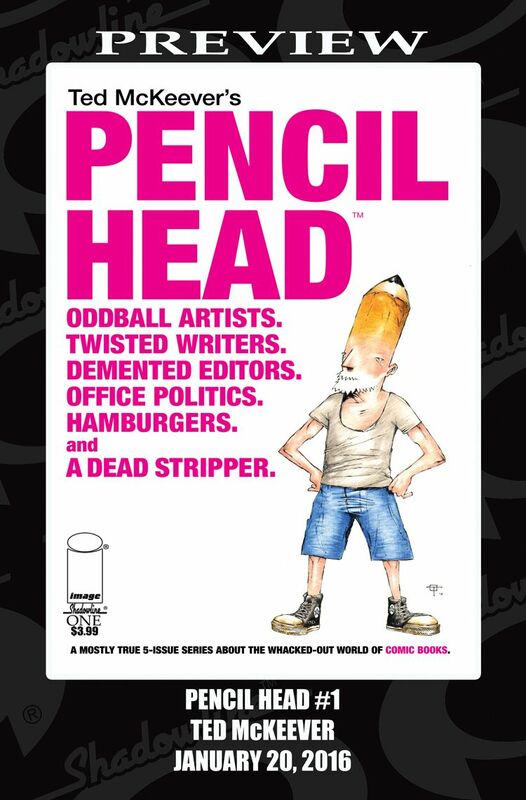 PENCIL HEAD #1 (Diamond Code NOV150491) will hit comic book stores on Wednesday, January 20th. 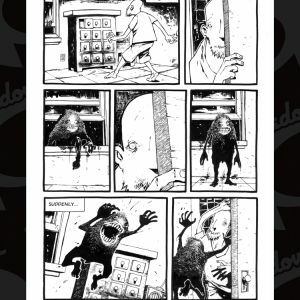 The final order cutoff deadline for comic book retailers is Monday, December 28th.